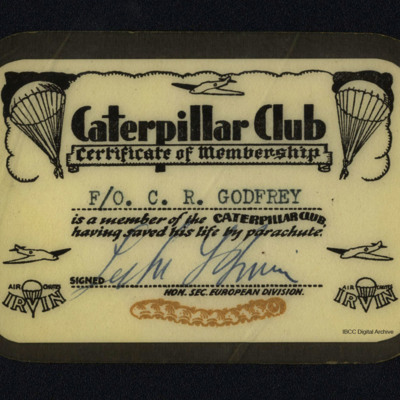 Card with Irving Caterpillar Club certificate of membership for Flying Officer C R Godfrey signed by hon sec European division. A silver Caterpillar club brooch. 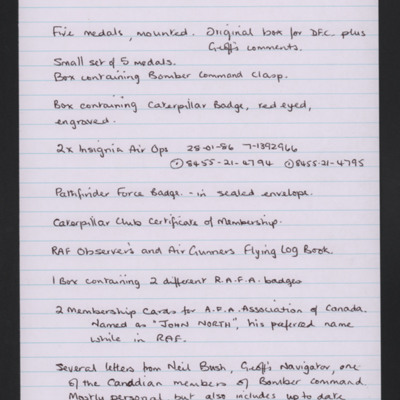 The letter apologises for the delay in sending out the caterpillar club badge to Sergeant George Reid Williamson. 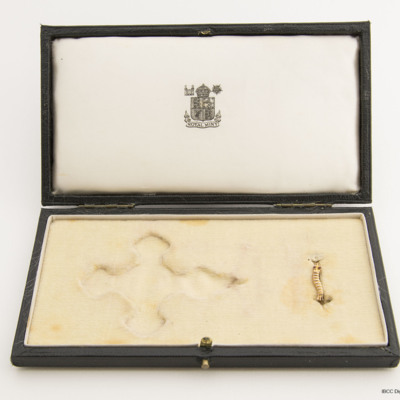 The sender encloses the badge with good wishes. Signed on behalf of Leslie Irvin.